HomeHEALTHAs Enterovirus D68 Deaths Increase, Are Vaccine Contaminants to Blame? Enterovirus D68 is now reported to be responsible for 11 deaths, mostly small children. The virus linked to one confirmed death in the U.S. has garnered far more media coverage than the other: the Ebola virus. In the Ebola article, I questioned whether we are facing a true pandemic threat, or a pharmaceutical company hoax. Pharmaceutical companies are now involved in a pull out all the stops rush to prepare an Ebola vaccine for the US market even though there has only been one confirmed death from Ebola in the United States. The second virus, Enterovirus D68, has received far less press coverage since the Ebola news exploded. This virus has killed 11 people so far, mostly small children. 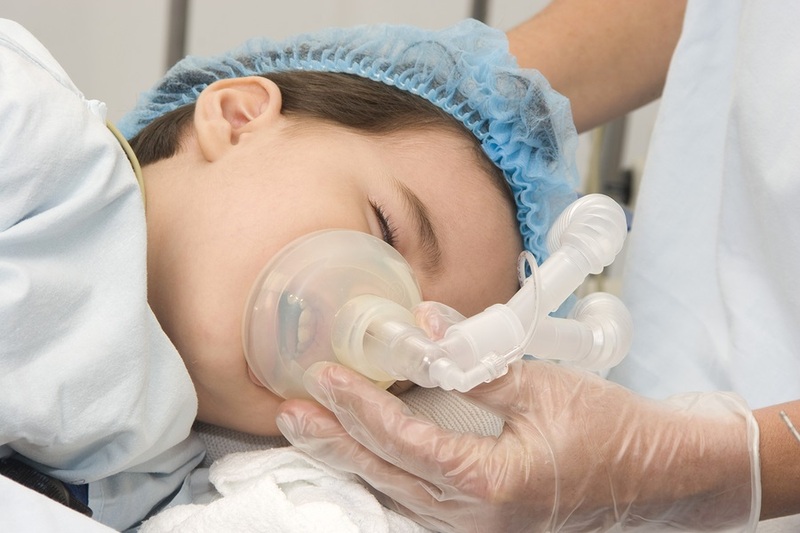 Enterovirus D68 causes respiratory problems and can cause “polio-like” paralysis. 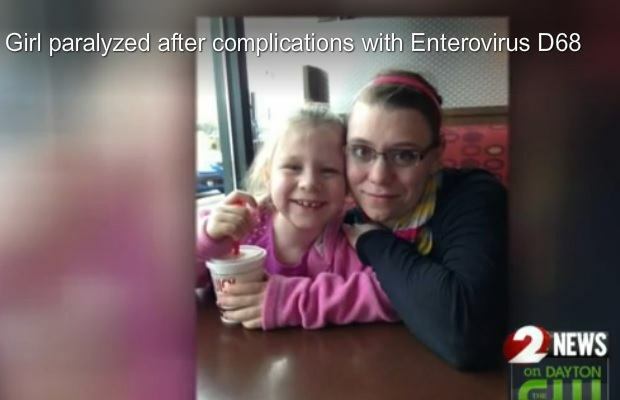 So Enterovirus D68 is not all hype, as it is affecting the lives of many children. Enteroviruses are not new in the U.S., so what is causing this particular virus to become so deadly? Dr. Schaffner cautions that other germs, including West Nile virus, can also cause paralysis, and it could simply be a case of double infection in this cluster of children. What is the Cause of the Respiratory Weakness and Paralysis? I am asking this question, because some would have us believe that if a child is having a severe respiratory problem or is experiencing paralysis, and the enterovirus D68 is present, then these problems must be the result of the virus. I agree with Dr. Schaffner, who is also questioning whether we should be making this assumption. I have to wonder if there is really something else going on with these severely ill children. I do not doubt the presence of the enterovirus D68 in these children, however, there can be numerous factors that might contribute to respiratory weakness and paralysis of the limbs. To determine what the other causes might be, it would be necessary to use a holistic review of the situation similar to what was done in Hong Kong when researchers examined the cause of unexpected paralysis in their population. Researchers examined a 15 year collection of health data in Hong Kong, which came from the monitoring of children who suddenly and inexplicably experienced paralysis in their arms or legs. They collected data from 1997 through 2011. When they found a child with paralysis, they collected data on demographic characteristics, vaccination history, clinical symptoms, and the presence of viruses in stool specimens. The researchers in Hong Kong were not afraid to ask the question, “Could the paralysis be caused by vaccines?” This is a key question, because neurological symptoms such as paralysis could be an adverse reaction to the ingredients of vaccine formulas. The reactions could also be caused by the presence of unintended contaminates in vaccines. Guillain-Barré syndrome, for example, is an adverse side effect of vaccines, particularly the influenza vaccine, which results in paralysis. A range of non-polio pathogens could produce paralysis, said Dr. John. With many such pathogens, the paralysis they caused would often disappear in a short period of time. However, others were capable of causing quite serious diseases, disability and even death. In a study published in 2009, a team at the Sanjay Gandhi Postgraduate Institute of Medical Sciences in Lucknow tested over 46,000 stool samples from children with paralysis in U.P., Bihar and other northern states between 2004 and 2007. 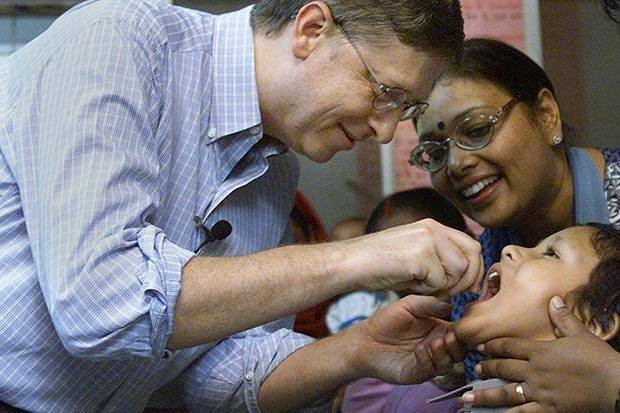 In another study, C. Durga Rao of the Indian Institute of Science, Bangalore, and his colleagues looked for enteroviruses in stool samples collected from more than 2,700 children with non-polio paralysis in Kerala, Karnataka, and Uttar Pradesh between 2007 and 2009. Both groups found that only about 30% of the non-polio paralysis cases were associated with enteroviruses. These viruses could therefore only partially explain the non-polio paralysis cases being detected. It would be a very interesting research project to examine the medical history of each American child who has been hospitalized with respiratory weakness or paralysis because of EV-D68 to determine which vaccines they received in the weeks preceding their hospitalization. When I was doing my research for this article, I was trying to determine why a common virus such as EV-D68 suddenly turned harmful in the summer of 2014. In the era of genetic engineering and manufactured diseases, I simply am not willing to accept the suggestion that sometimes viruses just do that and that’s the way it is! My research led me down many rabbit trails, which produced nothing of value that I could share with you. But there was one rabbit trail, which I think you will find interesting. I want to tell you about mycoplasmas, biological warfare agents, immune system suppression, and environmental toxins. Please stay with me as I lay down some basic information about these topics to see how they might help us understand what is happening with EV-D68. You might want to think of this as a case study. Sometimes it is very helpful to study a series of events that might at first glance seem to be somewhat unrelated to the topic at hand, in order to find information that applies to your situation. I believe an investigation into mycoplasma fermentans will help us understand what might be going on with EV-D68. The information about mycoplasmas comes from Professor Emeritus Garth L. Nicolson who is the President, Chief Scientific Officer and Research Professor of Molecular Pathology at the Institute for Molecular Medicine in Huntington Beach, California. He is also a Conjoint Professor at the University of Newcastle (Australia). He was formerly the David Bruton Jr. Chair in Cancer Research and Professor and Chairman of the Department of Tumor Biology at the University of Texas M. D. Anderson Cancer Center in Houston, and he was Professor of Internal Medicine and Professor of Pathology and Laboratory Medicine at the University of Texas Medical School at Houston. He was also Professor of Comparative Pathology at Texas A & M University. Professor Nicolson has published over 640 medical and scientific papers, including editing 20 books, and he has served on the Editorial Boards of 30 medical and scientific journals and was a Senior Editor of four of these. The complete resume of his academic career up to this point is 74 pages in length. His expertise in the area of vaccine contamination was enhanced by being a medical investigator in over 1000 cases of Gulf War syndrome, which is a debilitating disease that continues to be experienced by many military personnel who were involved in the first Gulf War in 1991. I don’t usually include so much information about a resource that I intend to quote, but in this case, I think it is meaningful for establishing Dr. Nicolson’s credibility. Dr. Nicolson is not speculating or rendering opinions, but is speaking as an internationally known expert on mycoplasmas, vaccines, immune system suppression, and toxic exposure. 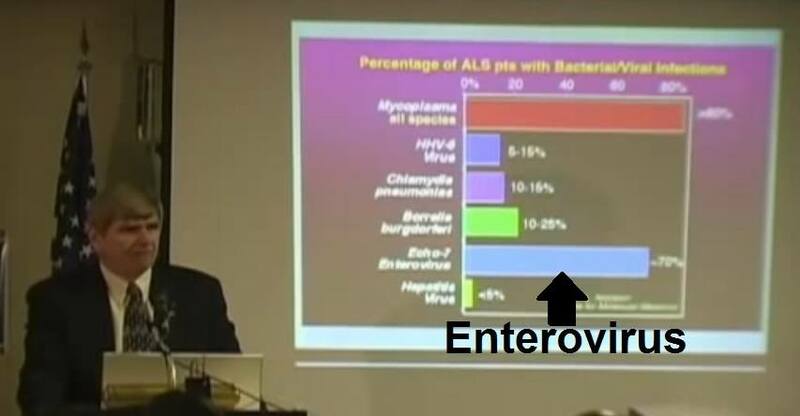 A large portion of his presentation dealt with intracellular infections. These are infections that occur inside of human cells. After the pathogens make their way inside of cells, they hide from the immune system. Once inside cells, they interfere with various aspects of cellular machinery. They disrupt cellular metabolism, energy generation, and even the division of nuclear material in the cell. Intracellular infections do not have a fixed set of symptoms. Any given infection can cause a variety of nonspecific signs and symptoms. This means that a patient’s symptoms do not directly point to a specific infection or cause. As a result it is difficult to investigate these types of diseases. Chronic fatigue syndrome: 50% to 60% or more of cases have this infection. Autism spectrum disorders: 58% to 65% have mycoplasmas. The preceding diseases are common in the US population today, and are experienced by many Gulf War veterans. These diseases do not appear to have a single cause and have multiple symptoms. 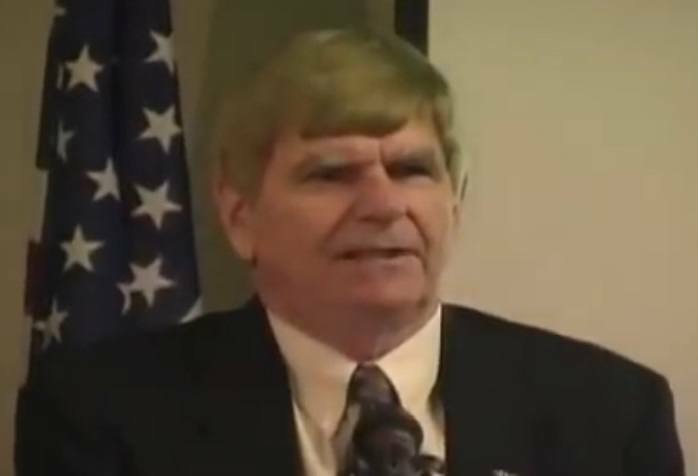 Dr. Nicolson stated that 100% of the Gulf War veterans with ALS (Amyotrophic Lateral Sclerosis) had a mycoplasma infection. Almost all of them had one species call mycoplasma fermentans. With civilian cases of ALS, most all have bacterial and viral infections and 85% or more have mycoplasmas as a chronic systemic infection. Civilians also have a virus called echo 7 enterovirus. In civilians there were many kinds of mycoplasmas. Mycoplasma fermentans was the highest in frequency. In their studies, Dr. Nicolson and his colleagues found that adult family members of infected military and their children also came down with mycoplasma infection. 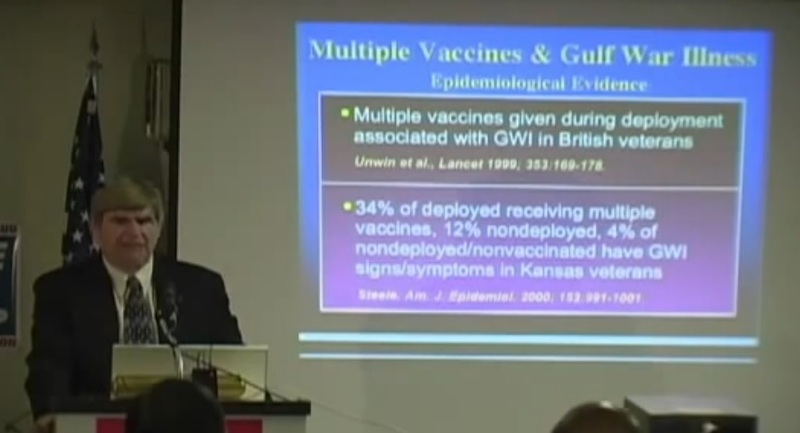 Of the 110 Gulf War veterans studied, 80% had mycoplasma fermentans. They studied 149 family members and found that 40 out of 57 adults were sick and were mycoplasma positive. 25 of 36 children who were sick all had the same mycoplasma infection. Normally this infection is only found in 4% to 5% of the population as a subclinical infection. In their study of 68 patients with autism spectrum disorder, Dr. Nicolson and the other researchers found that 58% were mycoplasma positive. There are several different types of syndromes and diseases that fall under this broad category. They include attention deficit disorder, Asperger’s, autism, and other syndromes as well. The common thread is that these are developmental disorders which cause social, behavioral, and educational problems. They include communication problems, repetitive behavior, inability of the child to relate to other human beings, etc. 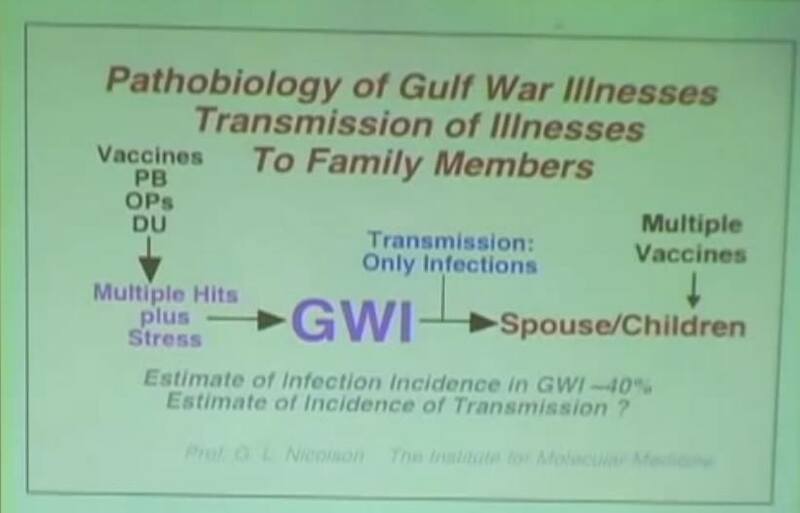 Dr. Nicolson indicated that we didn’t hear much about mycoplasma infections before the first Gulf War. So, what is the source of mycoplasmas? There was a program going on in Texas in the prison system where they were testing microorganisms under army contracts and pharmaceutical company contracts, to test their pathogenicity and their countermeasures against them. This took place between the early 1980s and the late 1980s. 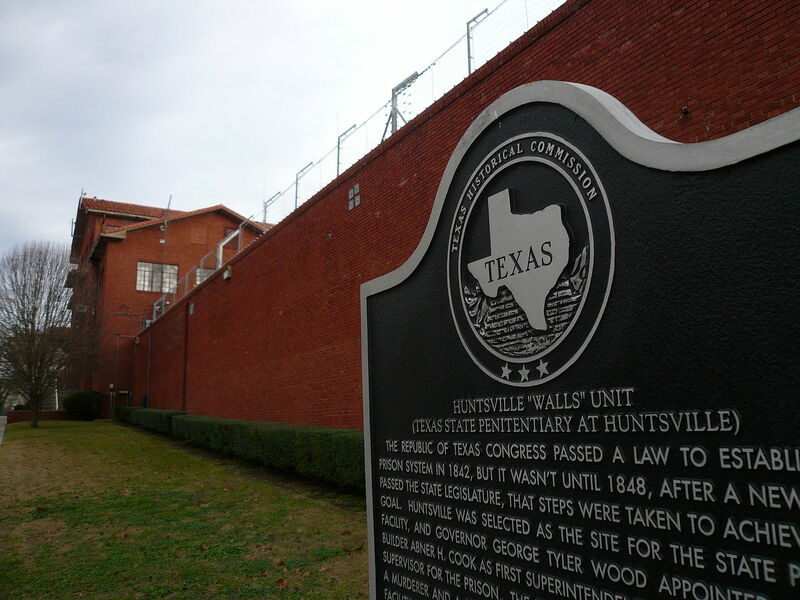 This resulted in an increase of infections not only of fatiguing illnesses in the Huntsville correctional facility but also very high rates of illness in the two towns where most of the prison employees lived. For example, the number of ALS patients was 28 patients out of about 25,000 people [in the surrounding community]. At that time, ALS normally had an incidence in the civilian population of 1 in 100,000. Prior to the prison research, there was no evidence of ALS in the community. There was a huge spike during those years. The same was true for Multiple Sclerosis. There were 68 MS patients, which represented a 5000% increase. Rheumatoid arthritis had a 2000% increase during the research period. The interesting thing about these patients was that the overwhelming majority of these patients had one infection – the mycoplasma fermentans. It was the same infection that we found in the Gulf War veterans, but this was before the first Gulf War. Dr. Nicolson indicated that the three ladies who investigated the situation in the Texas prison community found that the mycoplasma fermentans that was tested there, was later given to the Iraqi and Israeli governments. 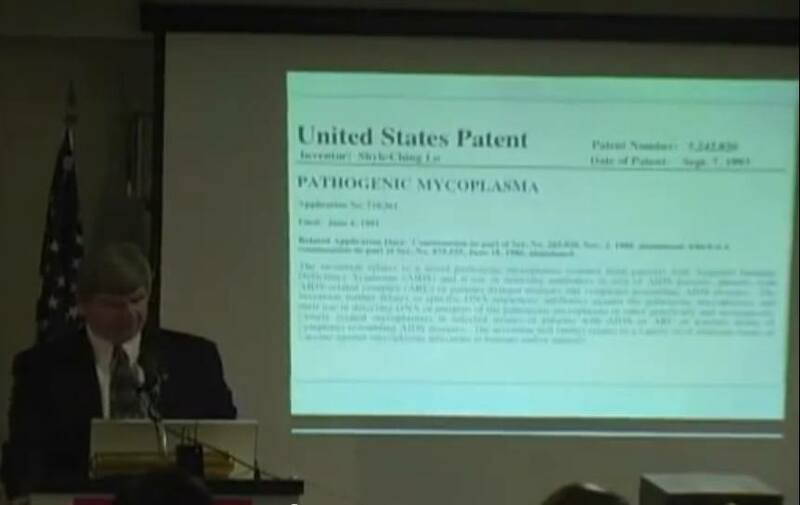 Has Mycoplasma Contamination been Removed from Vaccines? I am sure that we all would like to believe that mycoplasma fermentans contamination of vaccines was a onetime mistake, and that steps must have been taken to prevent such contamination in future years. However, this is not what happened. Vaccines are not clean, pure, and safe as vaccine manufacturers would have us believe. Vaccine contaminates could include mycoplasmas, which can lead to mycoplasma infections. Mycoplasmas can be encountered from intimate contact with other people such as in families. Mycoplasma infections are very hard to detect, because their signs and symptoms are general and non-specific, which means this type of infection can be easily overlooked by doctors. I am not saying that mycoplasma fermentans is the cause of severe respiratory weakness and paralysis in children who have EV-D68 infections. I am simply raising the question that there might be other causes than simply the EV-D68 virus itself. Could mycoplasma infection be involved? We also should be willing to look at the total health of children to identify the factors that could be leading to hospitalization for what is normally a very mild virus. National Committee for the Certification of Wild Poliovirus Eradication in Hong Kong; “Fifteen years of acute flaccid paralysis surveillance in Hong Kong: findings from 1997 to 2011.” J Paediatr Child Health., 2014 July, PMID: 24528511. Petri WA, Miller M, Binder HJ, Levine MM, Dillingham R, Guerrant RL., “Enteric infections, diarrhea, and their impact on function and development, “ J Clin Invest., April 1, 2008, PMCID: PMC2276781. TLB recommends you visit Health Impact News for more pertinent articles and information.